What’s a Christmas movie without a sprinkling of musical magic? Many of our favourite festive hits are defined by their soundtracks, so, in the spirit of the season, I’ve rounded up 10 classic scores that never fail to put a smile on our faces. One simply cannot celebrate Christmas, or indeed compile a Yuletide soundtrack list, without John Williams’ heartwarming masterpiece. A late replacement for Young Sherlock Holmes composer Bruce Broughton, Williams once again demonstrated his ability to redefine practically any genre. Featuring a host of memorable themes, anchored by the whimsical ‘Somewhere in My Memory’, plus some drum-machine laden action material and some truly heavenly original carols (‘Star of Bethlehem’ being the absolute highlight), Home Alone set a new standard for Christmas scores. Yes, despite all the current internet speculation, John McTiernan’s lean, mean and witty action movie is most certainly a Christmas movie. (Its villain, Alan Rickman’s Hans Gruber, even explicitly invokes the season itself at one stage.) Accompanying Bruce Willis’ fish-out-of-water cop John McClane every step of the way is Michael Kamen’s terrifically pensive and suspenseful score, one that, pleasingly, also has a sense of humour about itself. Adorning the furious action tracks with sleigh bells, incorporating strains of winter staple ‘Let It Snow’ and utilising ‘Ode to Joy’ from Beethoven’s Ninth Symphony as the leitmotif for Gruber, it stakes a claim to being one of the most unique Christmas (and blockbuster) soundtracks of all time. This landmark Raymond Briggs adaptation may be best-known for its Peter Auty-performed ‘Walking in the Air’ (later co-opted by Aled Jones), but one shouldn’t underestimate the importance of Howard Blake’s score. The Duellists composer fashions a gorgeously balletic symphony of dancing strings and brass, as if mirroring falling snowflakes, before soaring during the film’s breathtaking aerial sequences and, finally, dialling everything back to a devastating solo piano in those heart-rending closing moments. John Debney is a composer who has flitted between genres, from light comedy (Liar Liar) to horror (I Know What You Did Last Summer) and swashbuckling pirate action (Cutthroat Island). 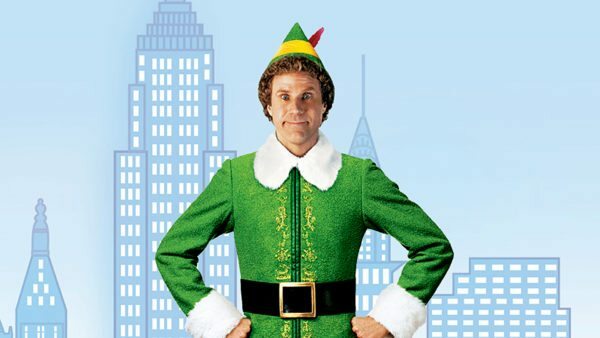 For this 2003 Will Ferrell hit, he unleashes the full quotient of lilting melodies, bells and seasonal choir, lending a joyous sense of innocence to Ferrell’s deft comedy performance. 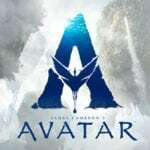 It’s a lightweight score but a loveable one that serves its movie well, while also marking the first in a series of collaborations between Debney and director Jon Favreau that has gone on to encompass Zathura, Iron Man 2 and The Jungle Book. At times bearing uncanny similarities to the aforementioned Elf soundtrack, this glorious Christmas extravaganza from Alan Silvestri is unashamedly bold, sentimental and heartwarming. Working together with regular collaborator and friend Robert Zemeckis, the composer is given free rein to unleash every Christmas musical cliché in the book, from bells to vocals and prancing, Sugar Plum Fairy-esque orchestral arrangements. There’s also time for sweetly seasonal song, ‘Believe’, written by Silvestri and Glen Ballard and performed by Josh Groban.